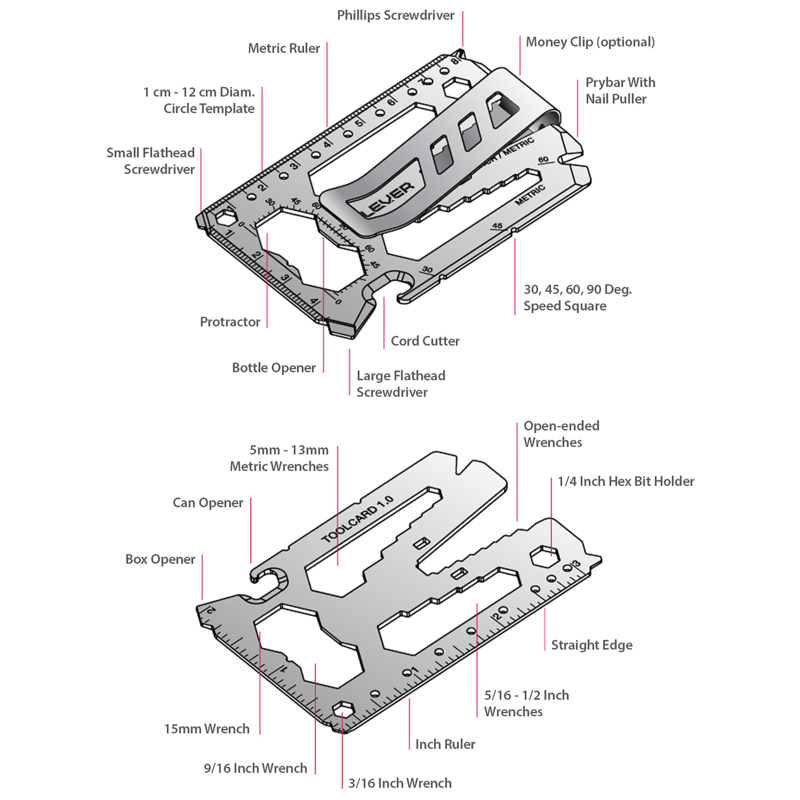 This handy wallet tool helps with so many jobs—tightening, cutting, measuring, and opening, to name a few—in a sleek, credit card-sized design. It even has an add-on money clip to do the cash and cards-carrying job, too. It’s TSA compliant, Made in the USA with durable stainless steel, and guaranteed to last a lifetime. Weight: Without clip: 0.06 lb. ; With clip: 0.08 lb. This was given as a Christmas gift. The recipient loves it, and said that it works well. My husband loves small space-saving gadgets for travel and this was a big hit. All of the men I gave this to, totally loved it. Mike Scully put his product design and engineering experience to work to create Toolcard Pro, a wallet tool that packs up to 40 functions into a smart, strong, sleek design the size of a credit card. Toolcard Pro is Made in the USA and can help with measuring, drawing, opening, tightening, and many more jobs. The durable and lightweight stainless steel card has an add-on money clip, too, that makes it even better suited for everyday carry. It is both TSA- and pocket-friendly, and is guaranteed to last a lifetime. 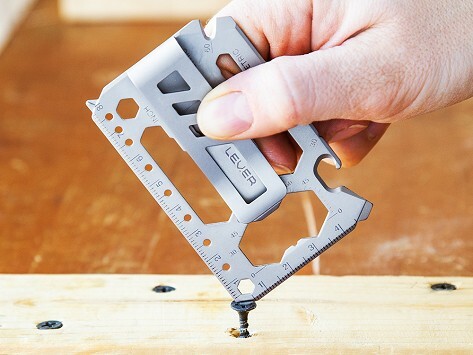 Whether you’re tightening a screw, opening a beer, or pulling a nail, Mike’s tool is built to lend a hand.